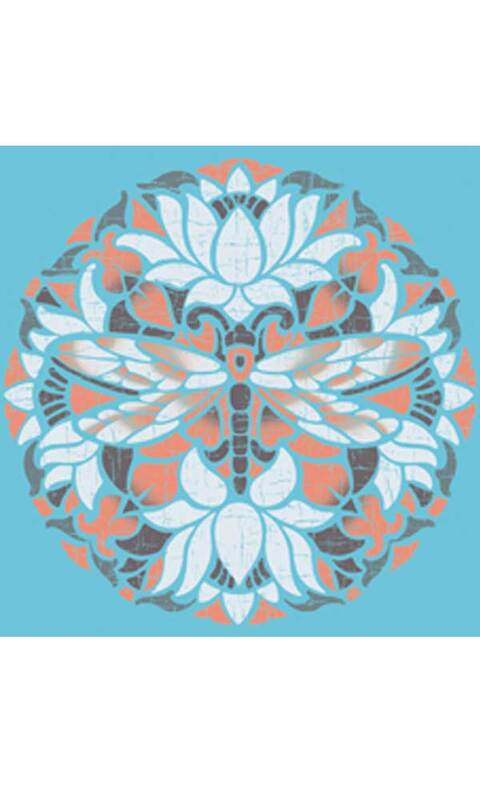 A lovely dragonfly and lotus design has a great aged stained glass feel to it. This tee’s fitted “skinny” profile means it won’t feel bulky with one of our short-sleeved tees pulled over it, nor bunch under sweaters or jackets. Printed with non PVC inks on our slim fit ladies T. Garment has a very soft hand.